Today’s book focused on frustration. Zach is at the beach and struggling to fly his kite. His dad teaches him a strategy called the Frustration Triangle. Zach learns to Name It, Tame It, and Reframe It. “It” is the frustration. Find the book at: http://www.freespirit.com/anger-management/zach-gets-frustrated-william-mulcahy-darren-mckee/. Mrs. Lippman is presenting her students with “Tool Awards” whenever she observes them using the self-regulation strategies from their toolbox. On Monday, during our sessions, the students may tell us about how/why they chose a strategy and the results. Find the “Tool Awards” at www.teacherlisasclass.com. The kindergarteners love yoga stories. They are exploring emotional regulation through movement. http://www.kidsyogastories.com/products/rachels-day-in-the-garden/. Come back next week for Week 4 (what?! can’t be week 4 already). As conversation partners, we have a job to do. 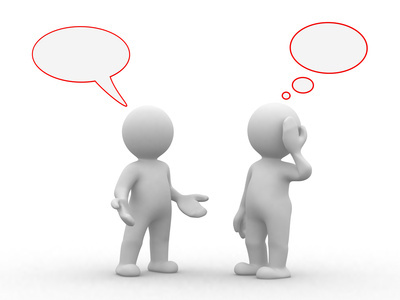 If we lose focus, fail to listen, or say nothing, there is a good chance that the conversation will breakdown. 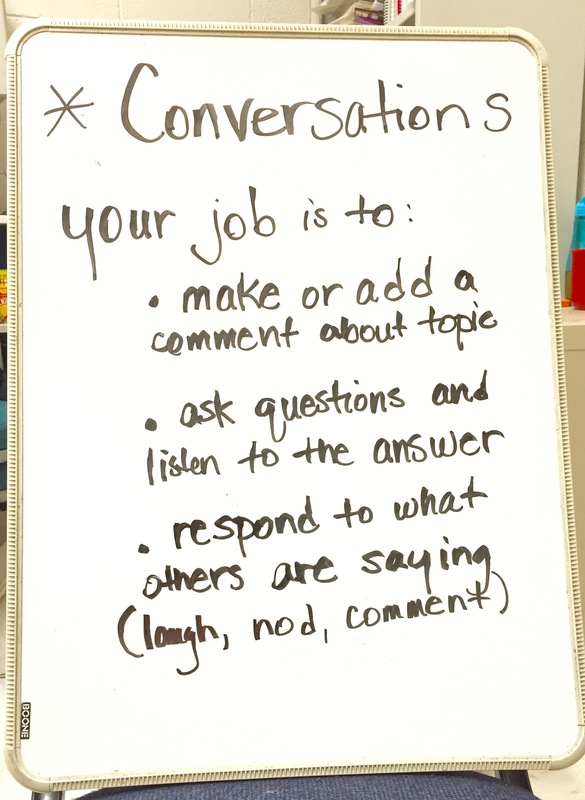 During Lunch Buddies today we practiced conversation skills on purpose. It is important that we maintain a topic, balance talking turns, and show interest. This visual support was at the ready to provide a prompt, if needed. Too many verbal prompts are annoying. It is ok to have a pause in the flow of conversation. We all need processing time. 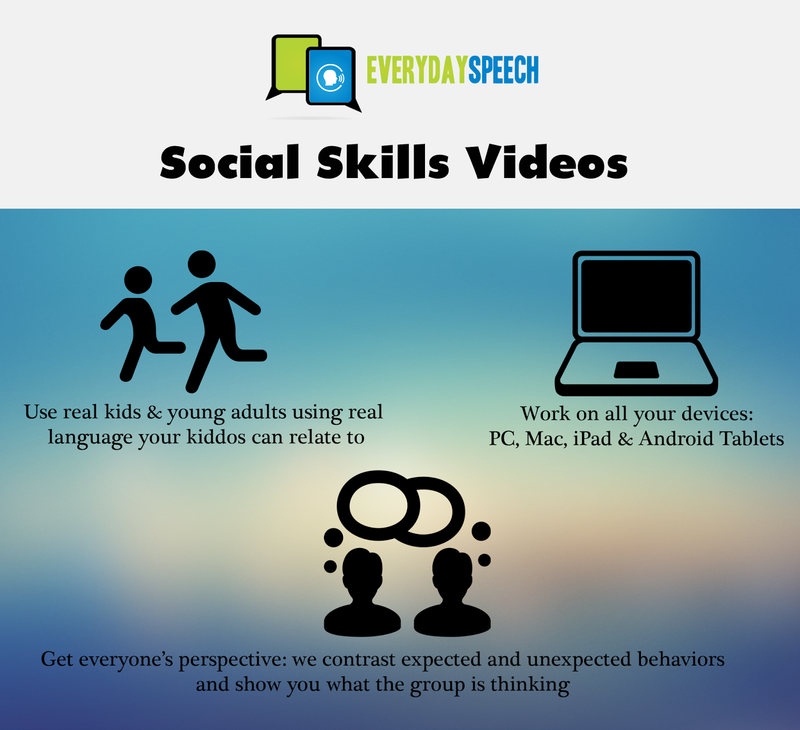 The Everyday Speech Social Skills Videos are perfect for video modeling of conversation skills. In the Making Connected Comments video we learned how our comments should fit together like pieces of a puzzle. If my conversation partner starts talking about football and my comment concerns the Minion movie, the pieces will not fit; the comments are not connected. I like to combine resources, do you? After all the hard work, we like to end on a fun note. We love games. 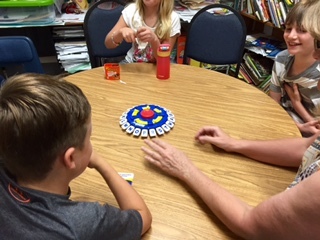 When we play games we practice the skills we have learned. 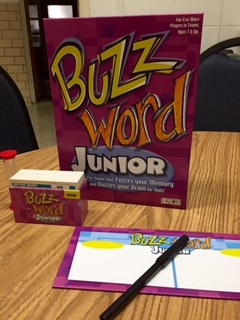 If you have not played these 2 games with your students, give them a try. 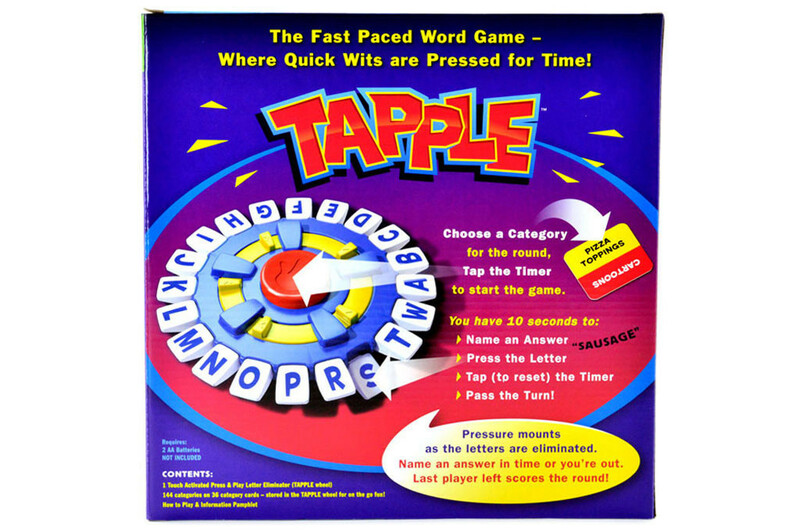 Tapple requires self-control and fast thinking. When we play, I hear self-talk (“I need to keep that word in my head for my next turn, not give it away”). 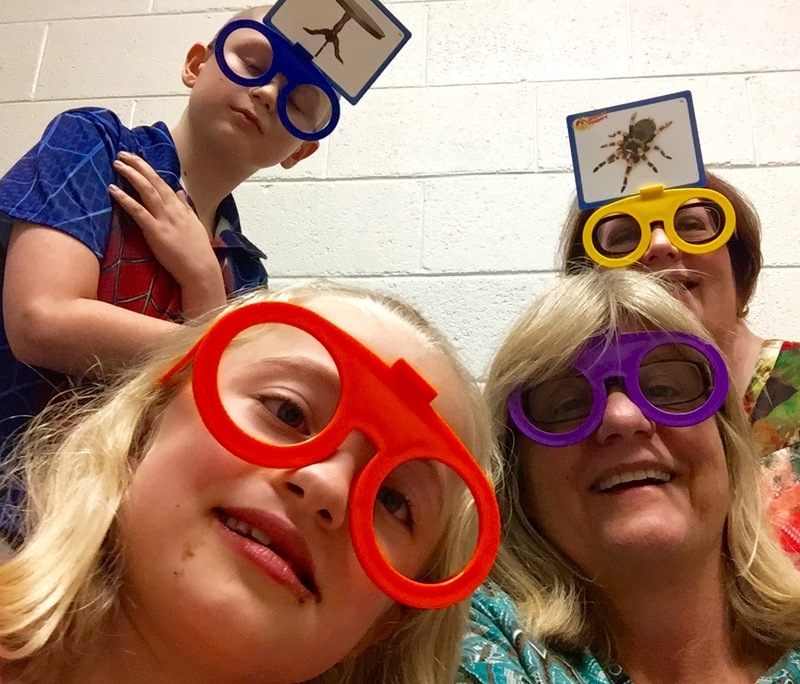 The Lunch Buddies are tempted to “blurt” and they give in to that impulse sometimes but the more we play the more opportunities we have to practice controlling that impulse. We also practice voice modulation while playing Tapple. It is easy to get out of control as the letters are eliminated and the excitement builds. So much fun! So much flexible thinking! The Lunch Buddies are finding it difficult to decide which of the newest games they like best! The fun begins with choosing team names. The teams then work together to solve a set of 10 clues. The “Buzzword” is contained in the answer to each clue. We are not using the timer because everyone has a different processing speed. Maybe we will start using it soon. BTW- as of yesterday, this little blog has been viewed over 250,000 times. I remember how excited I was when I got 1000 views! Sometimes Monday morning tries to keep us in the Blue Zone. Yawning, sighing, and just feeling blah. 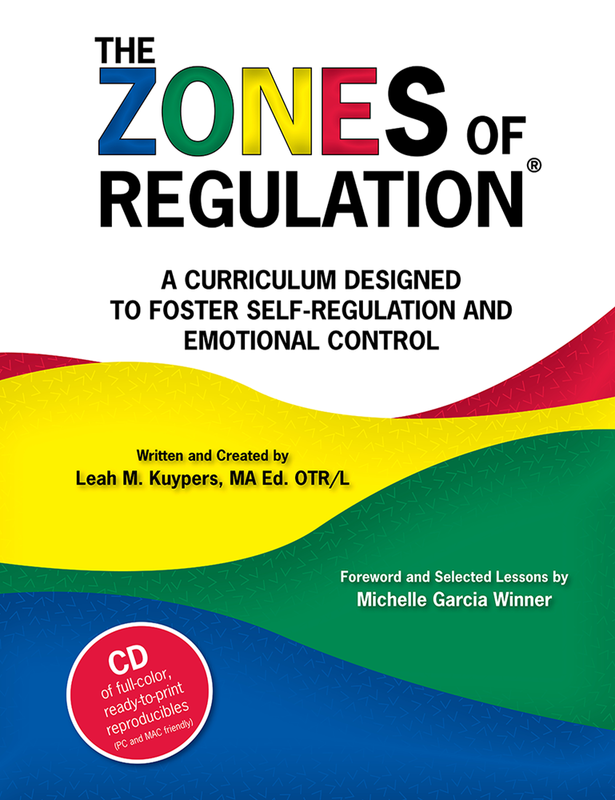 How can we get back to the Green Zone and be alert and ready to learn? How about a happy song from Dr. Jean and some fun movement!! It was so much fun, we did it twice! 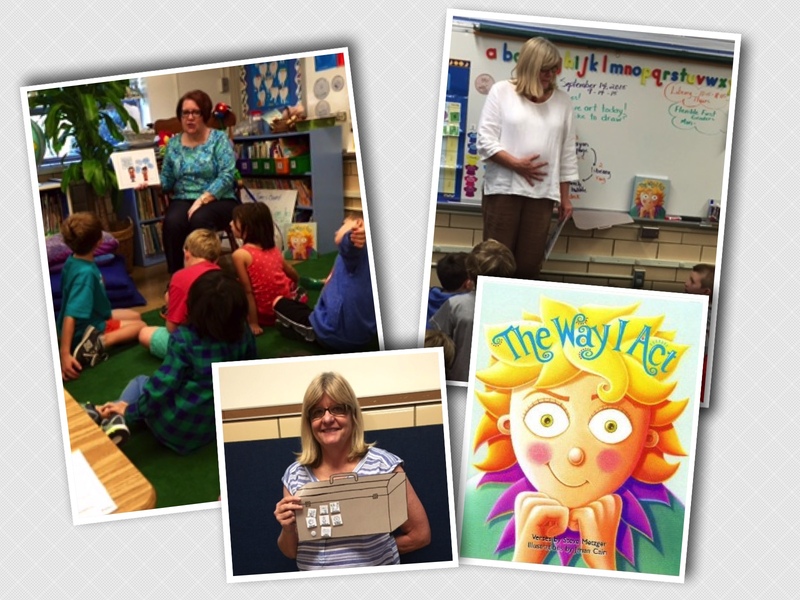 Last week we read The Way I Feel and this week we read The Way I Act. Both books by author, Steve Metzger, are beautiful and launched a discussion on expected behaviors and positive outcomes. I watched a great video that used a hand model to show the children how the brain looks and what happens when we are about to “flip our lids”. The fingers represent the frontal cortex which helps us stay regulated and is where we keep our strategies. We want to use our strategies before we flip our lid and lose control. Mrs. Rairdan helps us to fill up our Toolbox with strategies, like belly breathing to help us stay calm. I love it when a plan comes together! Mrs. Raiden and I started our week in a Kindergarten and a 1st grade classroom. 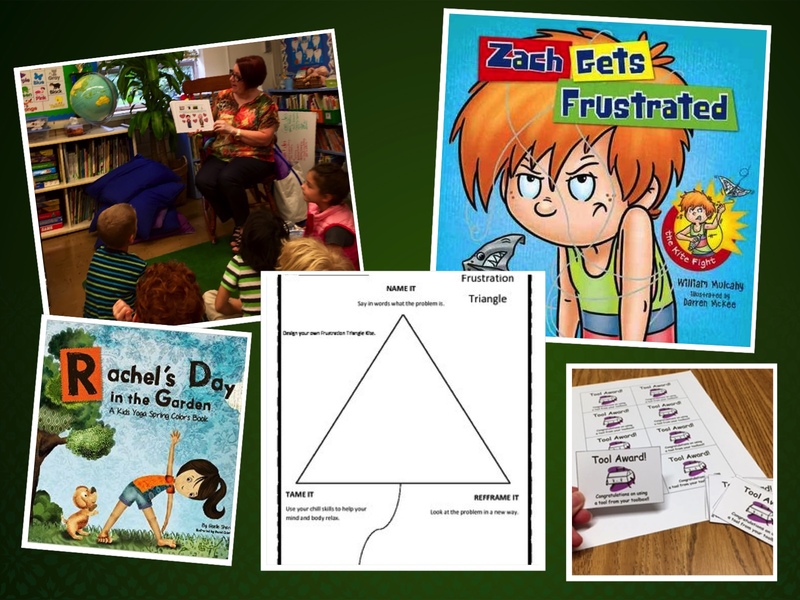 There are so many wonderful resources available to us to assist our students in developing social-emotional regulation skills and I really like to combine them to make learning fun. 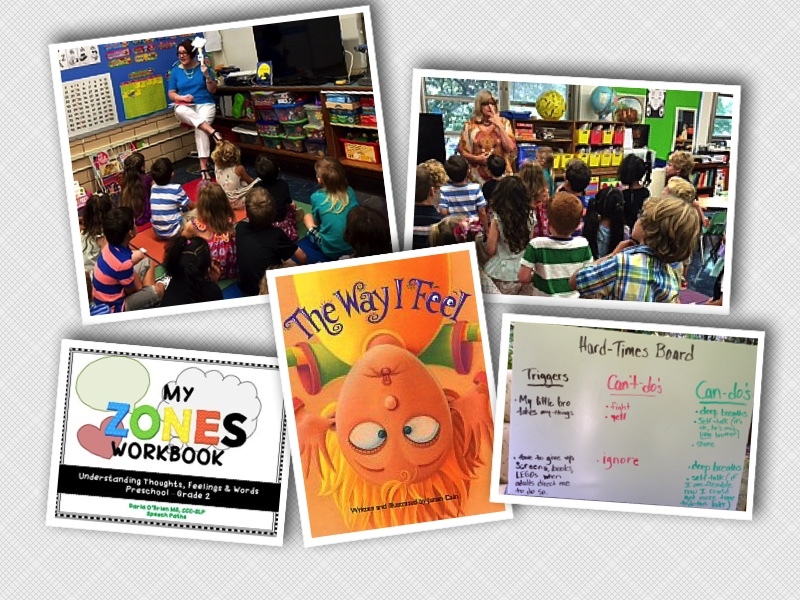 The Incredible Flexible You™ is an engaging Social Thinking® educational series perfect for our Kindergarten class. 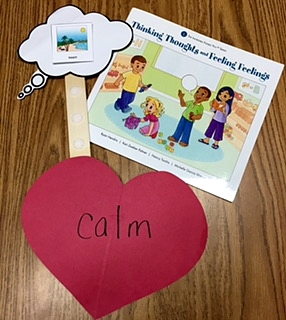 On the first day we learned about thinking thoughts and feeling feelings and how our thoughts can affect our feelings. I like to think of the beach. When I do think about the beach, I feel calm. It is amazing how well these resources work so well together. Mrs. Rairdan is also coaching us in learning new yoga sequences and these fit nicely in the toolbox of strategies. 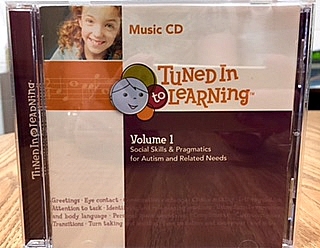 This music CD is wonderful for getting our session started. We especially like the song, Body Check. Before an airplane pilot takes off he does an airplane check. Before we get to work we do a body check. Mouth quiet, ears listening, body calm, etc. Music is often the way to make strategies stick! 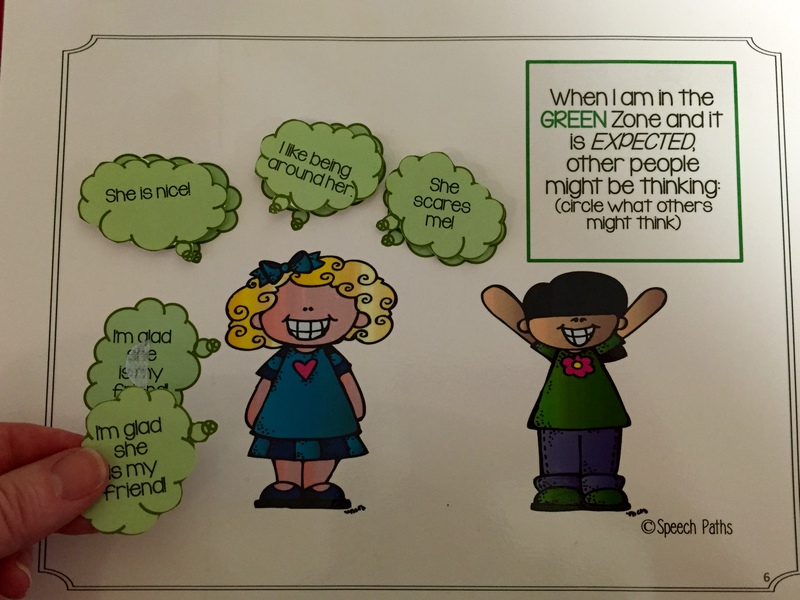 My Zones Workbook gives us a nice framework for talking about what others may be thinking, feeling, and saying about us when we are in the different zones. I printed out two copies of the workbook on card stock, laminated them, cut out the thought bubbles and speech bubbles and then added some velcro to make it interactive. There is something about that interaction with the materials that also help to make it stick (no pun intended). I will keep you posted on how things go in the classrooms. Lunch buddies are still an important part of our service delivery so check back for updates.